As a child we had only one television in the living area which worked only after we had slept at night. My mother was very strict and she made sure that we (me and my brother) were in the bed by 7:30 p.m. I have so many memories of playing outdoor games but not a single one of watching any kind of cartoon series. I have no complaints or regrets about it. In fact, I am thankful to her for giving up her dreams to raise us and make us good human beings. This has to be my number 1. It won many awards including 82nd Academy Awards, 67th Golden Globe Awards, Annie Awards. The movie starts with such an emotional heartbreaking sequence that I had tears in my eyes. 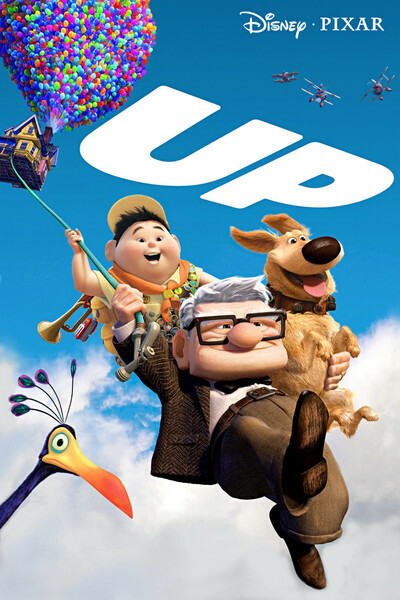 The story is about Carl Fredricksen (a widower) who goes on to fulfil his dream of watching Paradise Falls after his wife (Ellie) dies. Though they had planned to go together but that couldn't happen. Then how he and little Russell make it happen is an amazing watch. 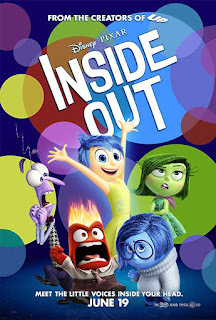 Hats off to Pete Docter for presenting it so beautifully that you can watch it irrespective of your age and still feel connected to it. Lesson learnt : Adventure is out there so live, love, laugh and enjoy the little things because you never know what's next! This one made me cry specially because it genuinely portrays loss, sorrow and depression. 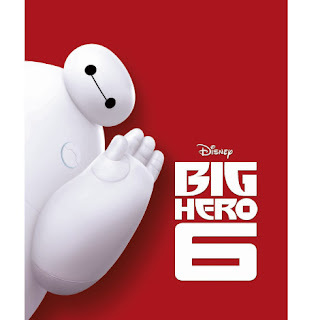 For me the star of the movie was BayMax (Robot). The story is about a teenager Hiro Hamada who after losing his brother Tadashi forms a superhero team to fight a masked villain. It is a fantastic movie with everything in the right place. It won the Academy Award for Best Animated Feature. Lesson learnt : When life seems impossible and you are surrounded with difficulties, never surrender and keep moving no matter how hard it may seem! Try to cop up and you will eventually succeed. This one is again by Pete Docter. After watching this movie I was so much in love with it that I downloaded its game from Play Store and played everyday for good six months. The story is actually superb. It wonderfully describes how emotions / feelings / moods can take a toll on our lives. The movie is about a girl named Riley Andersen whose parents shift from Minnesota to San Francisco and how she adapts herself to a new environment with 5 emotions : Joy, Sadness, Anger, Fear and Disgust playing a major role. This one truly deserved the accolades it received : BAFTA Award, Golden Globe Award, Critics' Choice Award, Annie Award, Satellite Award, Academy Award etc. Kung Fu Panda was released in 2008 followed by its sequels Kung Fu Panda 2 in 2011 and Kung Fu Panda 3 in 2016. The story of all the 3 films revolves around a panda named Po who is chosen as a Dragon Warrior. 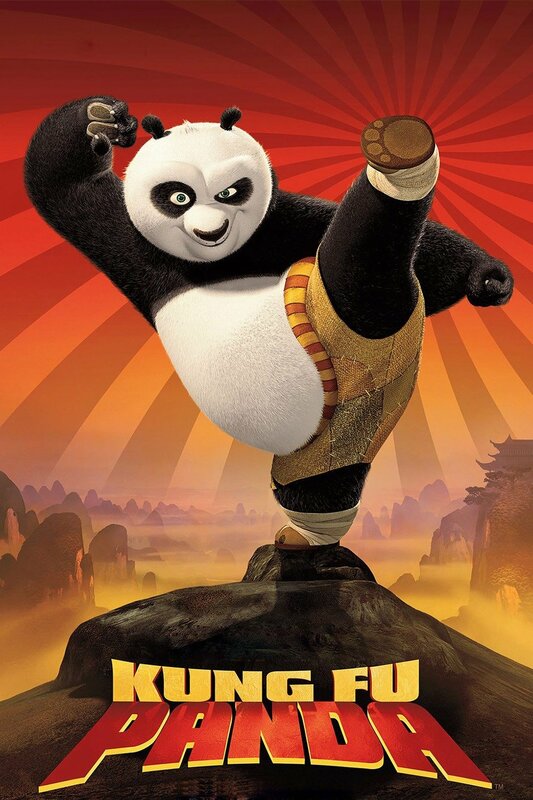 His journey from an obese panda to a powerful fighter is depicted excellently. Though this martial arts movie series couldn't win Academy or Golden Globe awards but its fun to watch. Lessons learnt : Hard work, dedication and commitment pays off even if the world doesn't see your worth but still you can succeed with your will power. This consists of How to Train Your Dragon (2010), How to Train Your Dragon 2 (2014), yet to be released How to Train Your Dragon 3 (2019). The storyline is about a young Viking Hiccup, son of the village chieftain, Stoick the Vast who is initially considered a misfit turns out to be the most courageous one in the group. He befriends a dragon named Toothless. This is one of the best dragon films. Lessons learnt : Sometimes you have to take risks in life beacuse nothing comes easy. 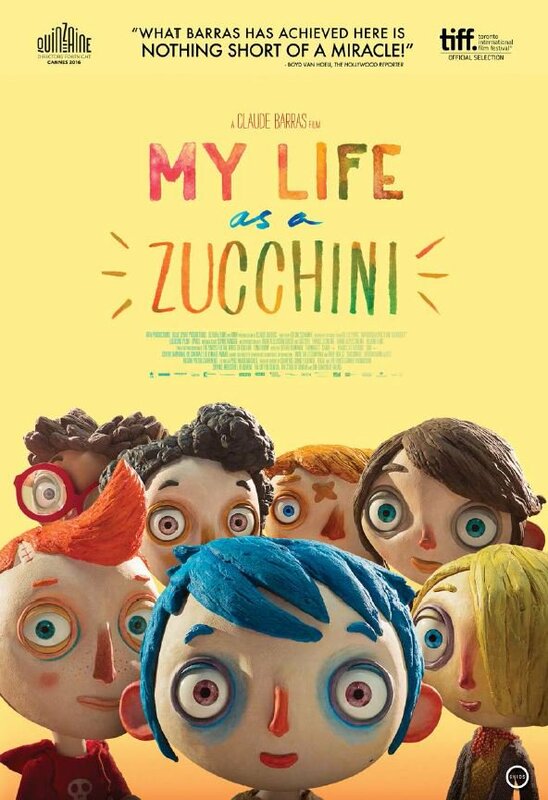 For me this movie is heartbreaking and a bit depressing if you see it from eyes of a child. How issues of parents such as failed marriages, drug / alcohol overdose, abuse and so on can affect a young one is unimaginable. The only thing I didn't like was the length of the movie, wanted it to be a bit longer. 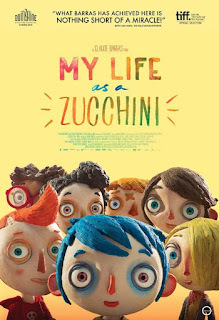 The story is about Zucchini (Icare) who is brought to an orphanage and how he adjusts in the different environment. Though at the end he gets a new family but I wonder how many are actually lucky like him to get a second life. Lessons Learnt : You don't have to be a perfect parent but a good one for sure. There is no rulebook you have to decide yourself what's the best that doesn't harm anyone in any way.